The point guard position has long been an issue for Charlotte’s NBA franchise. The city’s last great lead guard (Baron Davis) was hijacked along with the original franchise back in 2002. The expansion Bobcats subsequently invested three Lottery picks into the position over a period of six years (2005, 2008, 2011) yet failed to find their franchise defining quarterback each time. Walker represents the last and best of those picks. He just turned 25 in May and is entering both his prime and the first year of a four year, $48 million contract extension. The team clearly sees Kemba as an asset and has positioned him as a major piece of the team’s future either as a starter or key reserve. Meanwhile, Jeremy Lin is playing on a cheap one year contract with a player option that he’ll almost certainly turn down next July. Both sides have (wisely) framed the marriage as an opportunity to both rehabilitate Lin’s career after an ill-fitting season in Los Angeles and to provide Charlotte with a steady backup point guard behind Walker. Again, this is how the team is framing it publicly. The brain trust has doubtlessly imagined a future in which J-Lin returns to semi-Linsanity heights and re-signs as the team’s starting point guard next July. 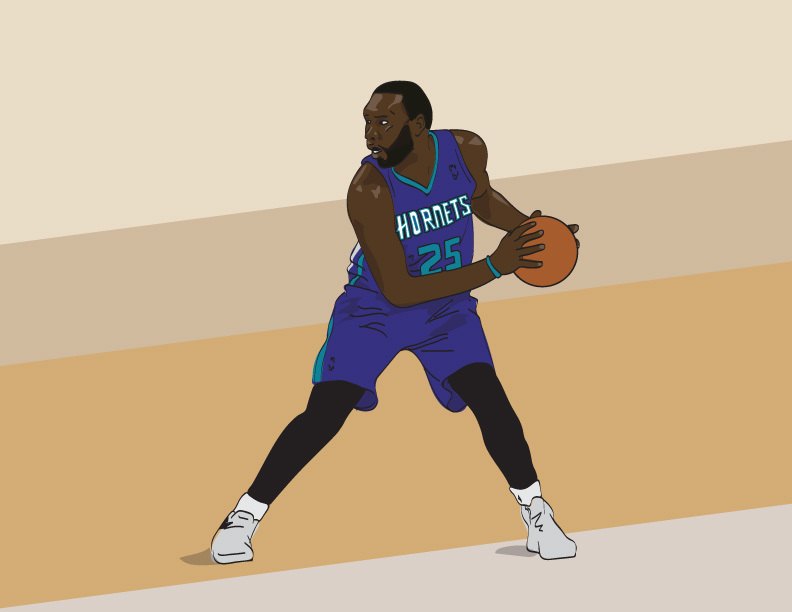 The Hornets could begin to transition Kemba to his more natural sixth man role – where he could dominate both the ball and opponent’s second units. After the Lin signing was made public, Coach Clifford spun tales of playing the two together for big minutes. I’ll believe it when I see it. Clifford hates going small and the team tried a similar experiment with Mo Williams late last season to mostly poor results. With a weaker defensive frontline this season, heavy dual point lineups could get even dicier. So how do we rate these not quite All-Star point guards? What individual strengths and weaknesses do they bring? For that answer, we’re going to have to go down the metric rabbit hole. Jeremy and Kemba have played roughly the same number of career games (291 vs 283 in favor of Lin) while Walker’s notched around 1500 more career minutes. Kemba has 283 career starts compared to J-Lin’s 170. Walker just turned 25 in May while Lin will turn 27 in August. Lin also notched around 9 minutes per game fewer than Walker last season so any non-weighted per game numbers will be converted by 32%. With that out of the way, let’s get on with the breakdown. SportsVU ranked Kemba 5th overall last season in Touches per game (92.4), eighth overall in time of possession (7.6 mins) with an average of 1.88 points per touch. Lin averaged 56.3 (74.3 converted) touches, 4.9 mins in time of possession (6.46 converted) and exactly 2 points per touch. TRANSLATION: Both guys like the ball in their hands but Kemba takes it to another level. Walker averaged more touches per game than Russell Westbrook and his time of possession suggests that he’s either an elite scorer (false) or the best scorer on a bad offense (true). The Hornets have added ball-movers and shot-creators all summer so Walker’s game will need an adjustment. Despite his rep as a mini-Iverson, Walker ranked fairly low in isolation attempts per SportsVU. 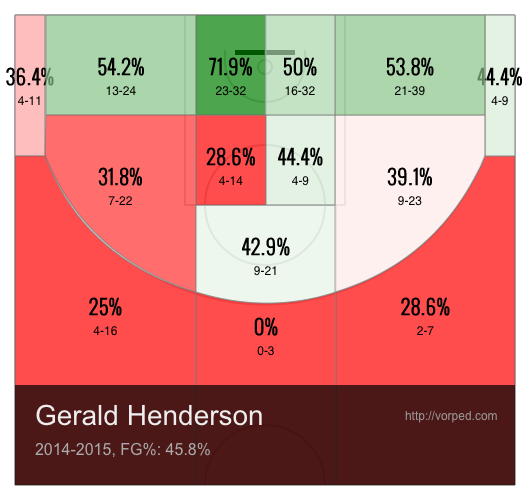 Only 9.9% of his plays per game were of the isolation variety and he converted at a relatively decent .84 points per possession. Lin ranked higher at 12.1% isos per game and only managed .74 points per possession on those attempts. Score one for Walker. More good news for Kemba: while each player manufactured the same amount of free throws out of isos (~14%) Walker did so with a fantastic 5% turnover frequency (as opposed to J-Lin’s concerning 14.8%). TRANSLATION: No surprise Kemba is the better isolation player, a pleasant surprise that he is a relatively efficient one. Kemba used the pick on 48.1% of his possessions which ranked 9th overall – a surprising number considering Walker’s reputation as a non pick and roll player. Walker managed .83 points per possession off the pick, logged an eFG%** of 41.0%, Free Throw frequency of 11.6% and a fantastic Turnover frequency of just 10.6%. By comparison, Lin used the pick on 40% of his possessions – again, surprising given his pick and roll heavy reputation. 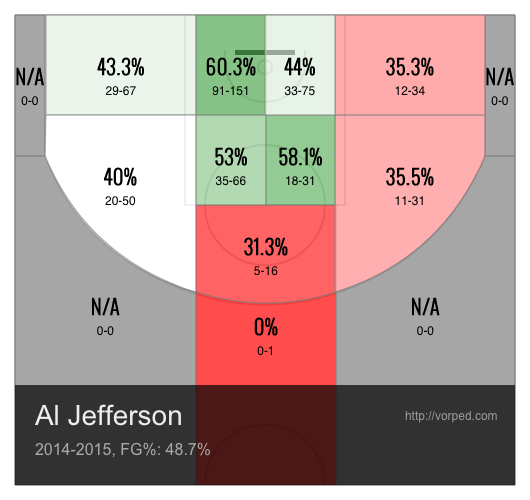 He notched an identical .83 points per possession, a much higher 45.8% eFG%, a higher 13.8 Free Throw frequency and a frightening 20.6% Turnover frequency. TRANSLATION: Kemba used the pick more but scored less efficiently out of it. 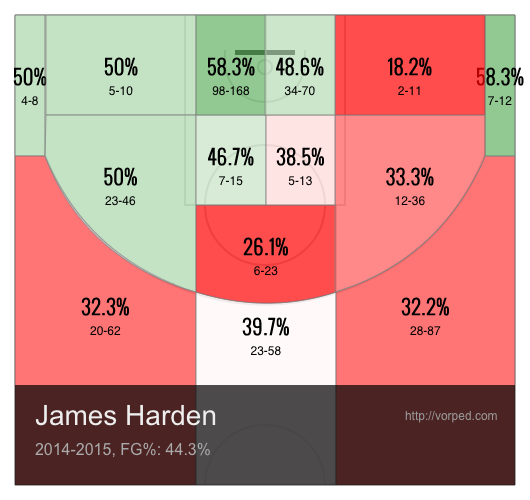 Lin uses the pick less but with greater shot efficiency and at a much greater risk of creating a turnover. More SportsVU: Kemba registered .6 Free Throw assists, 1.5 “hockey assists” and 11 assist opportunities per game. 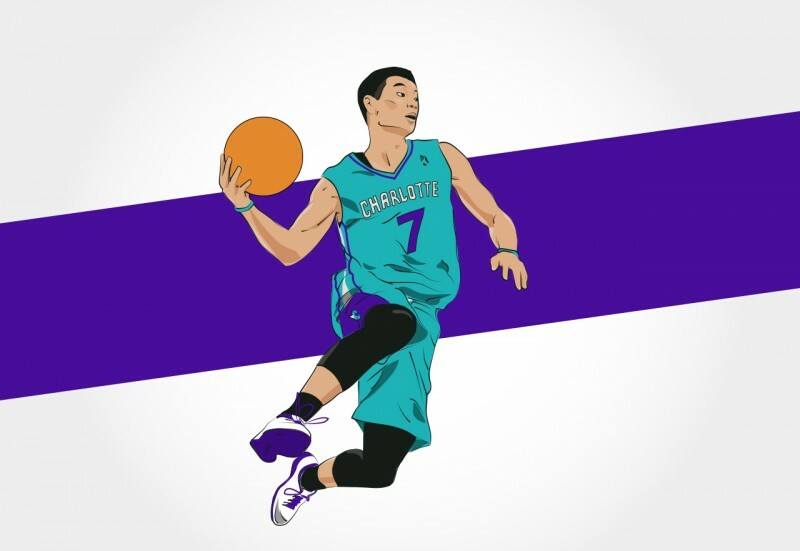 Lin averaged .4 (.53 converted) Free Throw assists per game, .8 (1.0 converted) hockey assists per game and 8.9 (11.75 converted) assist opportunities. In terms of raw per game assists, Kemba tallied 5.1apg while J-Lin notched 4.6 (6.1 converted). Assist rates again have Jeremy out in front: Kemba 20.9 (career low average), J-Lin 26.5 (around career average). The real story is in the turnovers: Lin has improved his ability to protect the ball in recent years but is still far, far behind Kemba’s Top 10 ranking in assist to turnover ratio. TRANSLATION: Lin is nominally a better shot creator but comes at the high cost of turnovers. Kemba’s limited court vision is made up for somewhat by his elite ability to take care of the ball. Basic stats: Lin shot 37% from downtown last season, raising his career average to 35%. 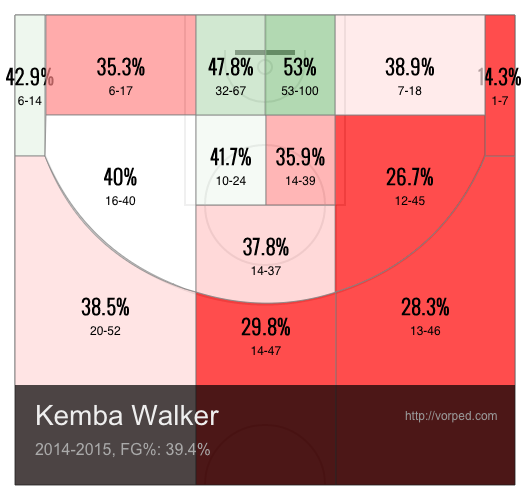 Kemba regressed to 30%, bringing his number to 31.8% from deep. Overall FG% has J-Lin at around 44% for his career, Kemba just below 40% overall. Each draws FTs at a decent rate and converts at or around 80% from the line when they get there. Jeremy wins the FG% battle on drives 46% to 41.6%. Kemba wins on “close shots” 66.7% to 57%. Catch & Shoot and Pull-up percentages are slightly in Lin’s favor but Lin’s three point shooting abilities has him easily out in front in effective FG% 47.3% to 42.9%. ESPN’s True Shooting Metric takes eFG% even further, accounting for free throws as well as threes. Kemba notched a 48.6 (about average for his career), while Lin registered 53.9 (also around average for his career). TRANSLATION: Easy (and expected) win for Jeremy Lin. 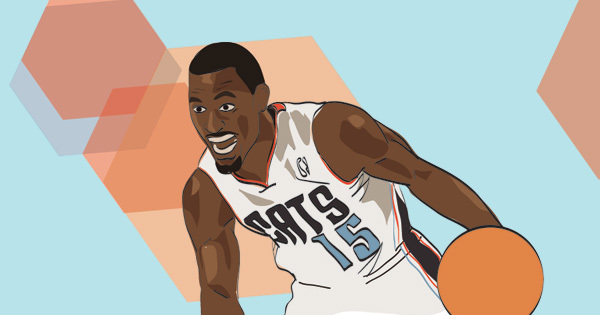 Kemba has struggled mightily with his shot since entering into the NBA. If there’s one aspect of Walker’s game that has and will continue to prevent an All-Star appearance, it’s this one. 82games.com has Kemba as a slight net minus (–3.0) while ranking Lin a slight net plus (+1.0) which is in line with ESPN’s real plus minus rankings for both PGs (Lin is 19th at +1.66, Kemba 37th at –1.03). 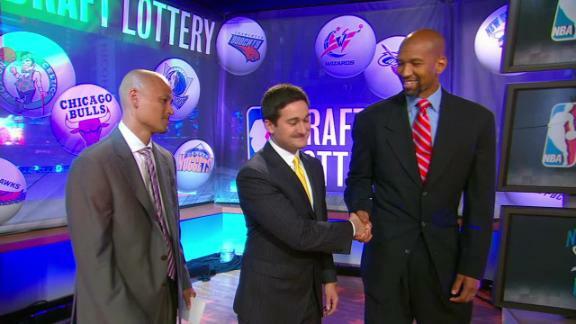 Lin is clearly the bigger defender on the court and has at least three inches and fifteen pounds on Walker. Lin measured a 6’5” wingspan and an 8’2” standing reach at the Portsmouth pre-Draft camp back in 2010. Kemba measured a near 6’3” wingspan and just over 7’7” standing reach a year later. Both players are solid on the boards and have nearly identical rebound rates over their careers. TRANSLATION: Real plus minus is far from perfect but when combined with the eye test and Lin’s physical advantages, it’s obvious that Jeremy is the better defensive option of the two. Anyone who has traveled through Southeast Asia will have doubtlessly come across the expression “same same but different”. It’s a concise little phrase that the Thai people use to describe two things which, while quite similar, have a few key features that make them uniquely their own. Example: Banana bread and a banana muffin = same same but different. In the midst of researching the Lin and Kemba combo, that lyrical phrase same same but different kept popping up in my mind over and over again. 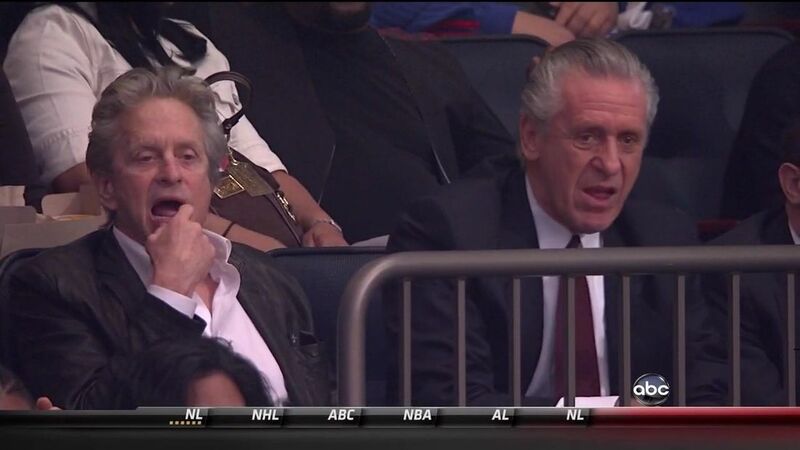 The Hornets now have two upper-middle class PG options. Neither are an elite talent but both are very good scoring guards who can benefit a team in their own way. One guy can protect the ball and break ankles but can also shoot you out of a game. One guy can hit threes and score off the pick but is reckless with the ball. One can manufacture offense out of nothing while the other can elevate a team’s defense. Same same. But different. It will be fascinating to watch how Coach Clifford handles the dynamic and how each player responds. Who knows? Perhaps the Queen City’s next great point guard are a duo. Illustration by @MikeSakoon – download an iPhone 6 wallpaper version here. Open browser > Navigate to DraftExpress > Talk myself into prospects. Oh my. Oh dear. How did this happen again? Is it real? How did the Hornets rebrand season – once so full of promise – nosedive into a Bobcats-worthy dumpster of lethargy and chaos? So many things had to go wrong for Charlotte to miss the 2015 Playoffs. Injuries were a legitimate problem but the roster construction did plenty of damage before the neo-Hornets ever stepped onto their honeycombed court. Seriously, has a prized free agent ever tanked as mightily as Lance Stephenson? It happens in the NFL all the time (Sean Gilbert, Albert Haynesworth) but in the NBA, a dramatic fall like “Born Ready’s” is nearly unheard of. And how could a seemingly minor roster move like replacing Josh McRoberts with Marvin Williams prove so tone deaf in retrospect? How did a coaching staff once so promising completely lose the players’ focus when it mattered most? If we learned anything this season, it’s that successful NBA franchises function as unified organisms. They embody singular visions of HOW WE ARE GOING TO WIN which is ultimately manifested on the court. The coach, the GM, the scouts, ownership and the roster are all on the same page; all focused on the same goal. The Spurs are the obvious example of this kind of vertically integrated masterplan – but so are the Hawks (Spurs wannabes), the Grizzlies (finally rid of the curmudgeon Lionel Hollins), the Warriors (perfect front office/coach/roster combination), the Rockets (superstars, superstars, superstars) and the Clippers (GM/Coach = same dude). The Bucks are on their own unified, distinct path and could very well rule the East over the next half decade. When I look at the Hornets I see a fractured blueprint from roster to ownership; a team that hasn’t committed to one direction. A team that’s trying to be good now while also trying to develop (very) raw talent. An ownership group that staffs up one of the league’s largest analytics teams and then proceeds to place a few of the chairman’s relatives into key positions. A front office that (rightly) attempts to mine the draft for superstars in the rough and then signs Win-Now veteran free agents to hog all of their precious developmental minutes. A coach who preaches players’ untapped potential and versatility and then stifles any display of it with an ultra-conservative offense from decades past. To be clear, I still believe that Michael Jordan, Rich Cho and Steve Clifford have the potential to build a perennial winner in Charlotte. These are high-level, smart and experienced people. MJ wants to win and has spent the cash to make it happen. Cho skates to where the puck’s going. Clifford is respected by his players and his peers. And in order to succeed, they’ll need to get on the same page and answer some very tough questions about the franchise’s future. Starting in July, Kemba Walker goes from being a nice young player on a rookie deal to a guy in his mid-twenties making $12m per season. And yes, I know the cap is rising and that $12m won’t be AS painful two seasons from now. Still, the fact that we’re even talking about it potentially being a problem is a problem. If you were the most casual of casual Hornets fans you would be forgiven in believing that Kemba is the team’s best player. Google “Hornets highlights” and one of his step-back, crunch-time jumpers will inevitably flash before your eyes. By virtue of UConn’s storied 2011 Final Four run, Walker is perhaps the most recognizable name on the roster outside of Lance and his size and character are ready-made fan favorite qualities. Indeed, there are games when Kemba is the Hornets best player – he’ll single-handily swing games by hitting tough shot after tough shot while his teammates cheer even louder than the fans. And then there are the other games. The ones the casual fans either don’t see or don’t want to admit to seeing. The QC’s own Steph Curry just won the MVP of the league. He did this by distilling his game into the perfect modern, post-D’Antoni Point Guard. A lead ball handler who can devastate defenses off the pick, Steph dares you to go over OR under. On the ball or off, Curry panics defenses at every turn. He’s an exquisite shooter with fantastic court vision and surprisingly good handles. Like Steve Nash before him, Steph forces you to pick your poison – and they’re all deadly. Let’s contrast this with Walker. If you’re an opposing defense, does Kemba terrify you at the point of attack? Hardly. Walker is statistically a very below average shooter (he’s at 39% from the field for his career, 31% from three) and lacks above-average rim-finishing skills or court vision (his per 36 and per 100 possession assists dipped even further last year) to make up for it. Most alarming: despite his shooting limitations Walker is often stricken by what hoops optometrists refer to as “tunnel vision”. Squint and you’ll almost see Allen Iverson out there running a one man show. Squint a little more and you’ll realize that it’s the Detroit version of AI. And even if Kemba was the second coming of peak-Iverson, would you want that sort of player leading a team in 2015? The modern NBA is all about ball movement and disruption. Never allow a defense to get comfortable; attack them anywhere and everywhere. Give Doc Rivers credit, he’s let Chris Paul and Blake Griffin improvise for much of the Playoffs and it’s worked wonders keeping elite defenses on their heels. With Kemba, an opponent requires only one strategy: let him shoot it. So what if he gets hot? At sub-40% shooting you’ll live with that choice – and, better yet, a suddenly hot, myopic Walker negates any need to waste intellect or energy defending much easier buckets from open teammates. 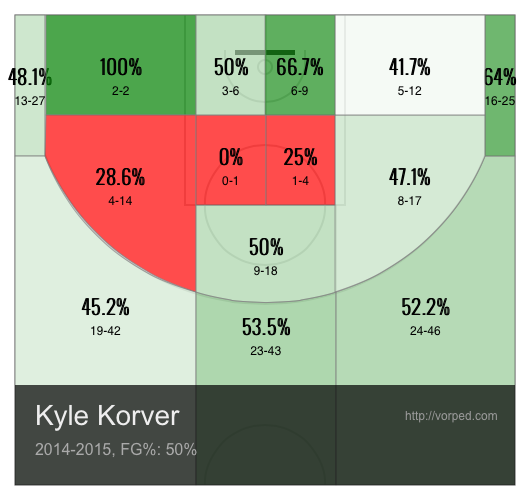 Yes, Kemba is fast and can penetrate with the best of them. Again, so what? If he’s unable to hit guys with easy looks underneath or finish at a higher than average rate, let him have it. A seven game series is a law of averages and eventually Kemba’s averages will win (or lose) out. 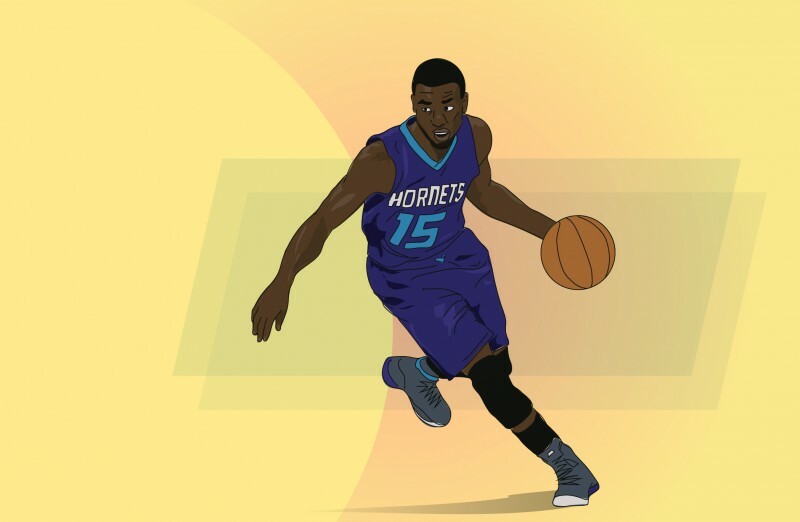 Previous issues aside, if the Hornets are intent on moving forward with Kemba as their starting point guard, there is a way to make it work. Option 1: Crawford, Jamal Crawford. When the cap rises to $80 million plus, Kemba’s $12m per deal could be palatable for a sixth man. The team could then limit Walker to a single developmental objective going forward: take better shots and make them, forgoing all other point guard related tasks. Sixth Man Kemba does one thing and one thing only, put the ball in the basket when the rest of the team can’t. The entire second unit is his to dominate (Hey, it’ll be like old times in 2011!) and Walker finishes games next to a bigger point guard in crunch time (#Pray4Mudiay or #Don’tHustle4Russell). The team packages Kemba with an asset in order to both A.) 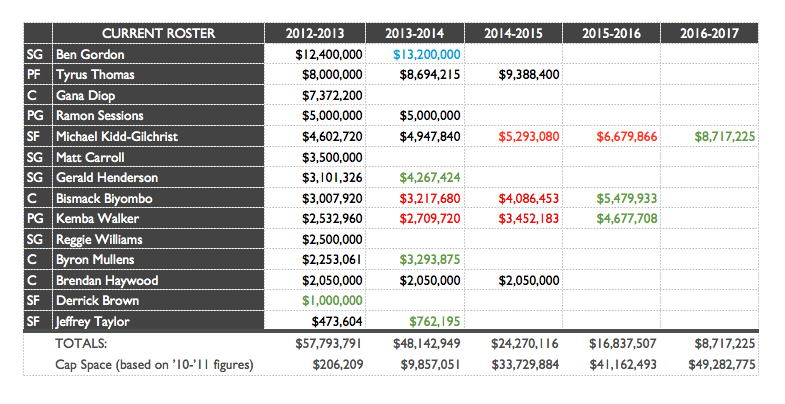 clear $48m from the payroll and B.) upgrade the position. Ty Lawson is the obvious candidate du jour. Given Cho’s modus operandi when it comes to asset management, I’d put the chances of this sort of deal at less than 25%. That said, the team should at least consider it because a point guard who can’t get other guys involved risks DEVALUING all of your assets. Bismack Biyombo may be the next Tyson Chandler for all we know. Noah Vonleh could be Kawhi meets Bosh. Doesn’t matter if Starbury 2.0 is playing solo in the halfcourt. Of course, the Kemba Conundrum isn’t the only major issue facing the Hornets this offseason. There’s the matter of Big Al’s waistline, Hendo’s player option, Biyombo’s restricted free agency and Lance – Lance is always a major issue. Those issues and more coming up in Part II.